Decatur, Ala. – An impressive display of unique creations, all handmade from gourds, will be on display in Cullman the third weekend in October during the annual Alabama Gourd Show. 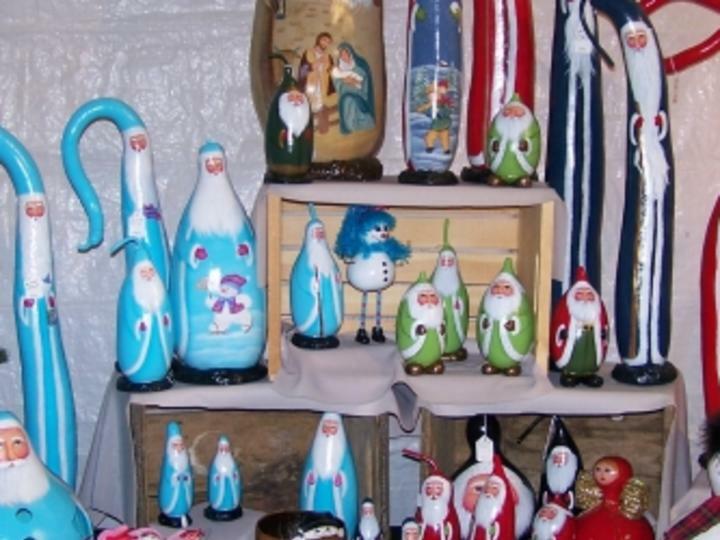 Now in its 19th year, the Alabama Gourd Show is a two-day celebration centered on the beauty and versatility of gourds and features masterfully created works of art from hundreds of artisans, crafters, and growers. With a theme of “Old MacDonald’s Gourd Farm,” the 2017 event is set for October 21-22 at the Cullman Civic Center. The two-day event also offers demonstrations and make and take classes. For those who want to get more hands-on, classes taught by an experienced gourd artist will be offered (fee charged). Fifteen gourd art crafting classes, where participants make their own handcrafted gourd, will be offered on Saturday at 9 a.m. and 1 p.m., and on Sunday at 11 a.m. To register for a class, go to www.alabamagourdsociety.org and click on Classes. Admission is $3 for adults and free for children 12 and under when accompanied by an adult, and admission includes a tour of the ribbon competition exhibit hall. Show hours are Saturday 9 a.m. to 5 p.m. and Sunday 10 a.m. to 4 p.m. All activities take place in the Cullman Civic Center, located at 510 Fifth Street Southwest in Cullman. For more information, visit www.alabamagourdsociety.org or contact Show Chair Pam Montgomery at gourdzilla@aol.com.